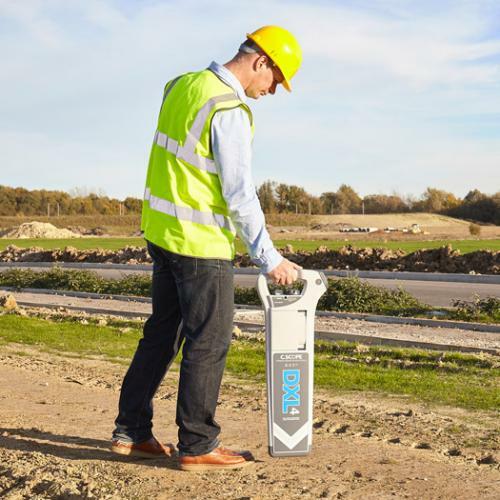 STREAM C is the compact solution for real time 3D mapping of underground utilities. Increased level of accuracy provided by a massive antenna array, STREAM C is able to automatically detect pipes and cables, offering high productivity and easy use (no advanced training needed) for operator. 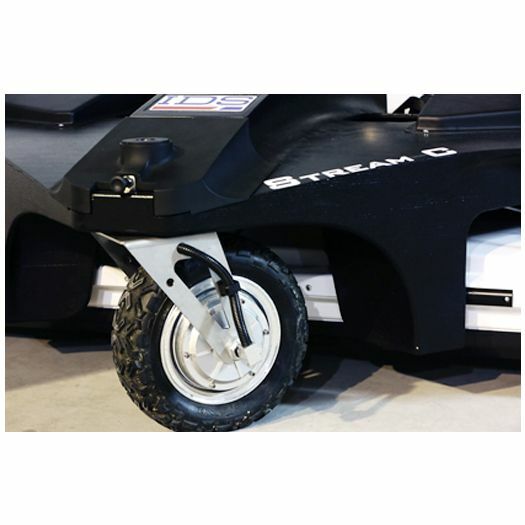 Daily use of STREAM C is aided by ergonomic features including electronic ride height adjustment, options to tow manually or with a small vehicle and a motor assisted drive wheel. Massive array of 34 antennas in two polarizations (VV + HH): this enables an accurate 3D reconstruction of the underground utility network and anomalies to be created in a single scan. Automatic Pipe Detection (APD): real time automatic detection of buried pipes and cables. Professional subsurface survey: pipes, cables and buried objects can be automatically transferred to CAD and GIS formats allowing a complete subsurface GIS based digital map to be quickly produced. 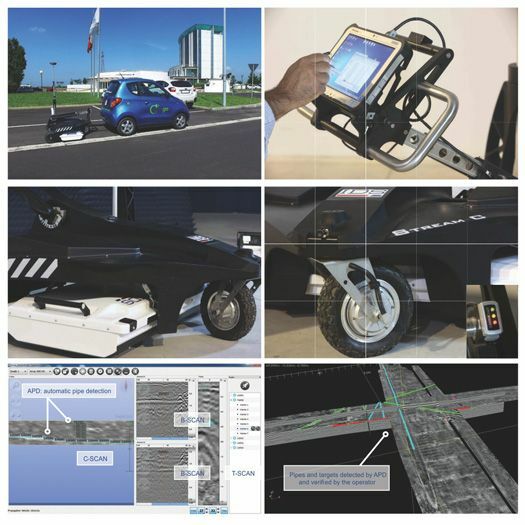 One Vision – APD: IDS GeoRadar software for Automatic Pipe Detection. One Vision software comes with an innovative feature, called Automatic Pipe Detection - APD, specifically developed for Stream C and able to detect and locate the position of pipes and cables in real time and display them on screen. GRED HD 3D CAD: IDS GeoRadar software for post-processing. Stream C is supplied with GRED HD 3D CAD software, specifically designed to offer an integrated working framework between the radar world and CAD/GIS environment, combining the characteristics of industrial productivity with high levels of reliability of results. 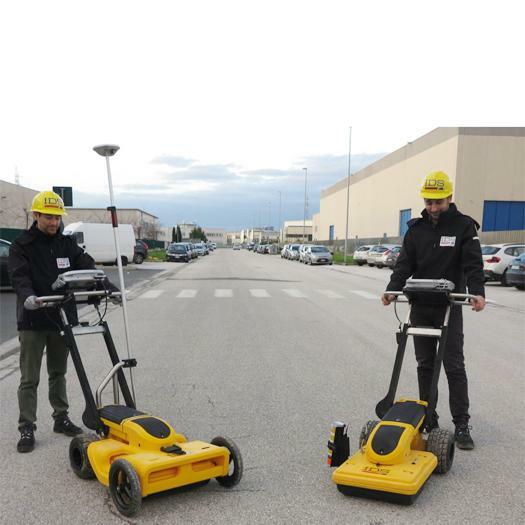 It also offers unique features: analysis of all anomalies in the subsurface, display of 2D and 3D tomography and automatic transfer of localized structures and objects, also with irregular shapes, to CAD maps. 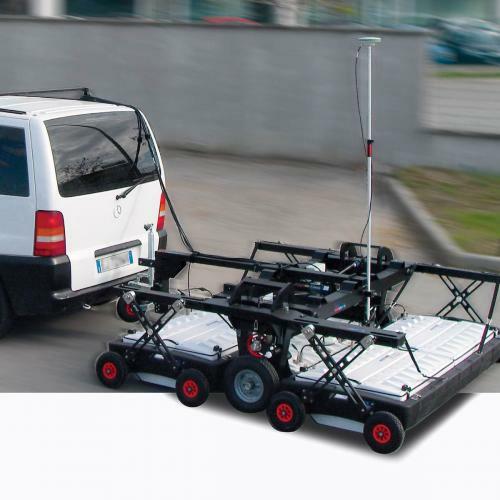 GRED HD 3D CAD is currently the most advanced and complete tool for post processing Ground Penetrating Radar data. Pipes and target detected by APD and verified by the operator. No advanced training needed: the system automatically detects and locates the position of pipes in real time and displays them on screen. 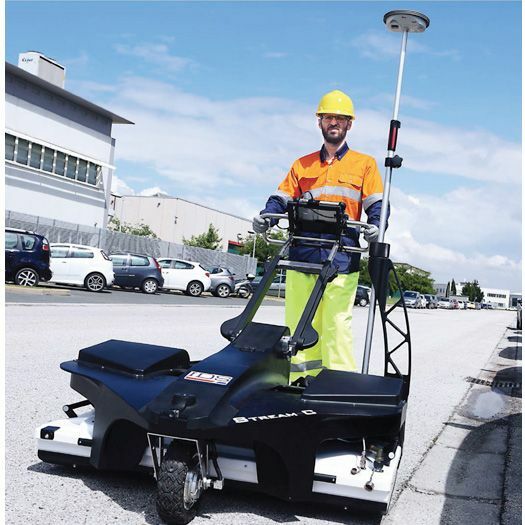 Highest data quality: Stream C guarantees 32 GPR profiles per 1m²(std. 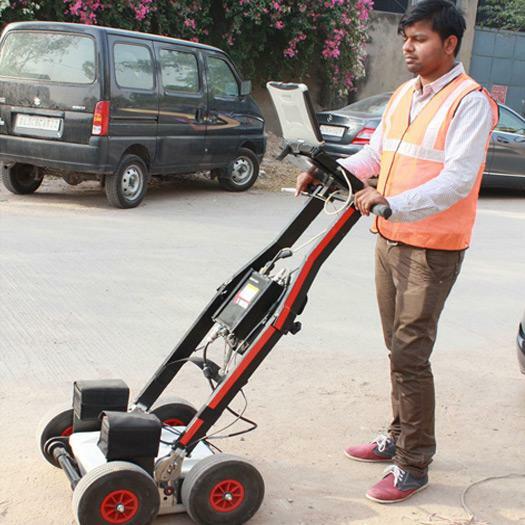 GPR only 4 GPR profiles per 1m²). High maneuverability: Stream C has a compact array suitable for the use on narrow space and grass surfaces. Available in standard and advanced versions. 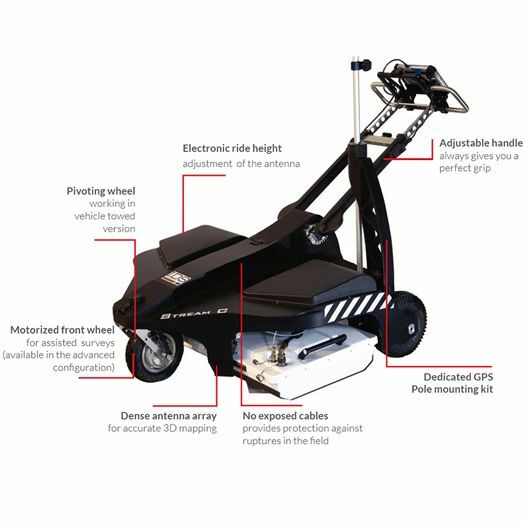 The advanced version is a motorised cart – the operators simply walk behind the unit. With electronic height adjustment. Based on latest one vision software allowing google based selection of survey area. 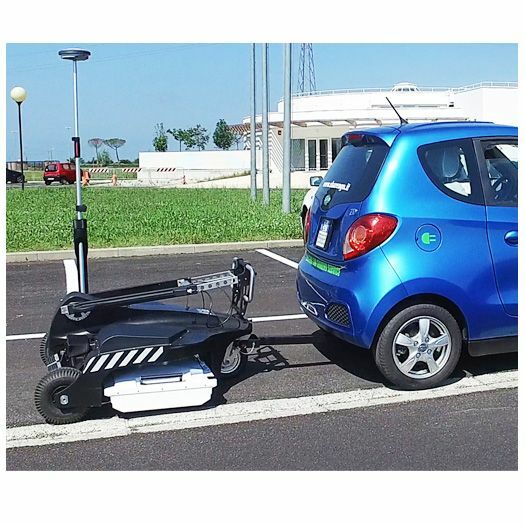 75% reduced time for survey – ideal for large scale mapping and Smart City projects.